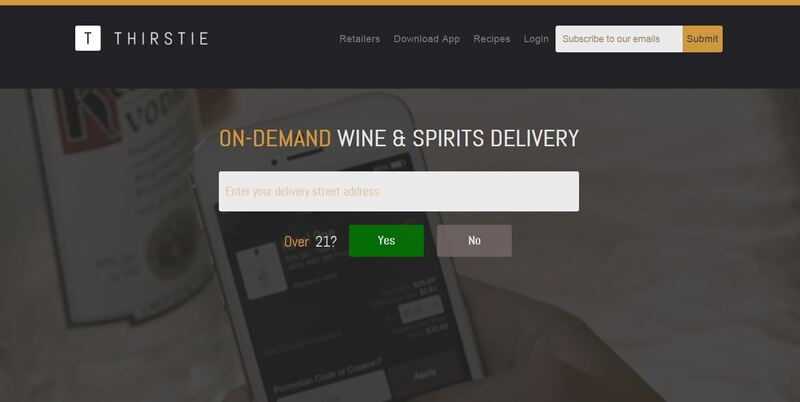 Download THIRSTIE for convenient, on-demand wine & spirits shopping right from your phone. Simply open the app, enter your info and choose your bottles. Delivery within an hour. THIRSTIE is the best new way to search, discover and buy the bottles you need, whether you’re on the go or on your couch. Delivery is free. THIRSTIE wants to help you get your favorite bottles delivered right to your doorstep; wherever you are, whenever you want. Think of it as your online liquor store, in your pocket. Get THIRSTIE: Liquor, when you want it, where you want it. Enter your delivery address and the closet merchant will take care of your order. Save your account information and all orders are seamlessly processed with just a few taps. Select, order, answer your door. Track order history — great for simple re-ordering. Rate the bottles you liked. And share your new faves with your friends. You must be 21 years or older to use THIRSTIE.